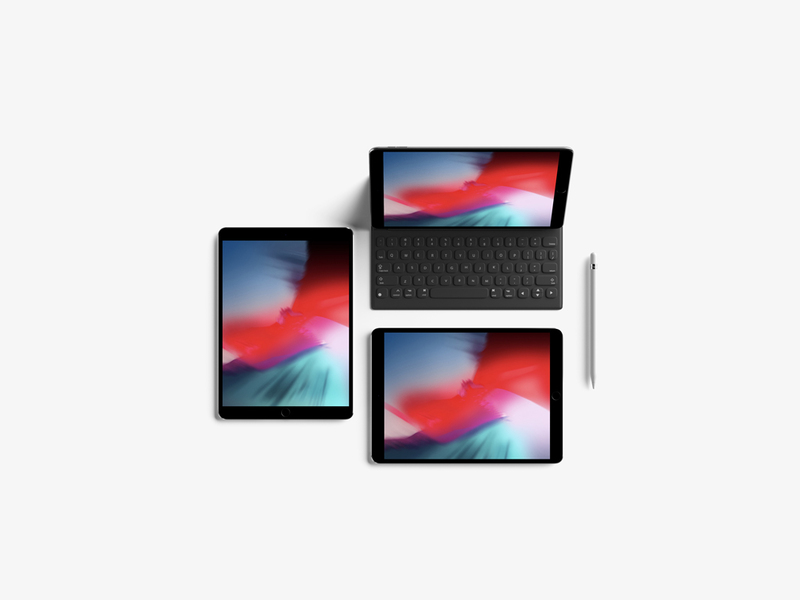 Realistically rendered scene showing three iPad Pros with keyboard and Apple Pencil. Use this mockup to showcase your iPad app designs or any branding work you might have. enjoy!